Complete H-alpha Solar Telescope with 60mm aperture and <0.7 Angstrom bandwidth. With new air-pressure tuning system! Blocking filter is the B600. 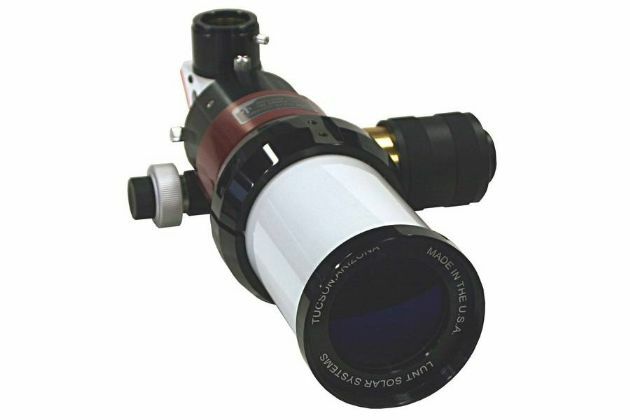 The star diagonal in which the blocking filter is installed, is equipped as standard for 1.25" eyepieces and with a T2 camera connection.